I know this is a small thing, but it's the culmination of the small things that made Apple products great. It will be the culmination of small things that destroys the 'magic' so many Apple enthusiasts wax poetic about. 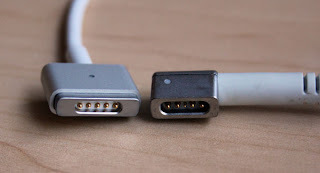 The tiny details that are so well thought out and that people notice, sometimes only after months of use, or when they use a non-Apple product. It's subtle, but it's very very important. Next up are the new Apple Genius ads. Even Ad Age agrees that Google's advertising is better than Apples. "Google's Nexus 7 TV Spot Tops Apple's 'Genius' Ads in Effectiveness"
Think about that: Google's TV ads are better than Apple's TV ads. This is just flat out heresy in the marketing world. Apple, since Jobs return to the company, has consistantly created the best marketing and advertising compaigns, for any product, on the planet. Now, here we are, months after Steve Job's dies, and Google, a company not known for making brilliant (or even interesting) TV ads, is beating Apple at it's own game. Do you really think Steve Jobs would have let those genius ads anywhere near a production studio after seeing the pitch for them? I know that when I first saw them I thought "Apple ad? Really? WTF happened?". So this is how it begins. The many little things that add up to a really big thing. The inevitable fall is starting sooner than I thought it would.